When you start looking for an investment property it’s good to start at the state level. Learn how to identify which state to purchase a property in. When you’re investing in property, one of the first steps you need to take is to actually choose a state to invest in. Are you going to invest in New South Wales, Queensland, Victoria, WA? Where’s the best place to invest? Today, I have with me Ben Everingham, my buyer’s agent of choice from Pumped on Property. We’re going to be talking about how to identify which state to purchase a property in. Ryan: Hey, Ben, thanks for coming today. Ben: Thanks, Ryan. Thanks for having me, guys. Ryan: Okay. So, this is a topic that I haven’t covered before. It’s something that I don’t really know a lot about. I know about how to research suburbs or how to research markets, maybe Sydney or Brisbane or something like that. But when it comes to identifying a state to purchase a property in – why would someone want to identify a state first and not go straight to the local level in terms of either major district like Gold Coast or Brisbane or individual suburbs? Why state first? Ben: That’s an awesome question, actually. 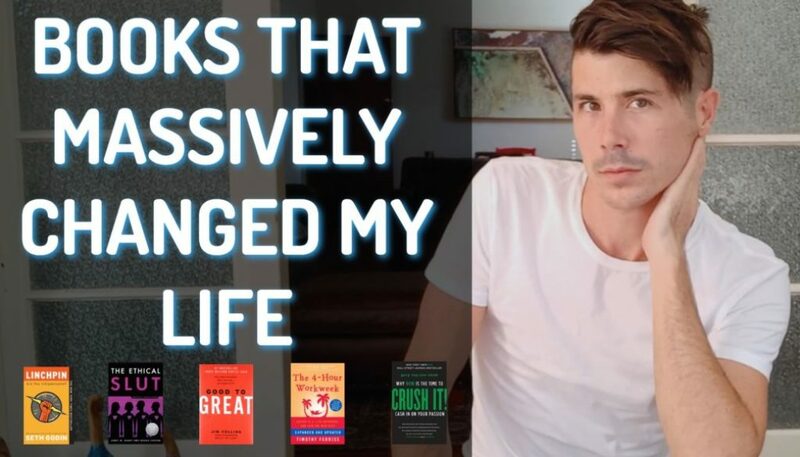 When I first started to invest, I [inaudible 0:58] areas and was lucky enough that those areas were Sydney, New South Wales-based and obviously, that market has luckily performed over the period that I’ve been investing. But now that I know a little bit more, timing of the market, especially for investors that are in the accumulation phase of their journey, which is the time going from anywhere between 1 and X amount of properties, however many you want to achieve is to really jump on board the markets that are performing. A really good example of this is, looking back now, how good would it have been to have been buying in Sydney 3 years ago? Or buying in Melbourne 2 years ago? 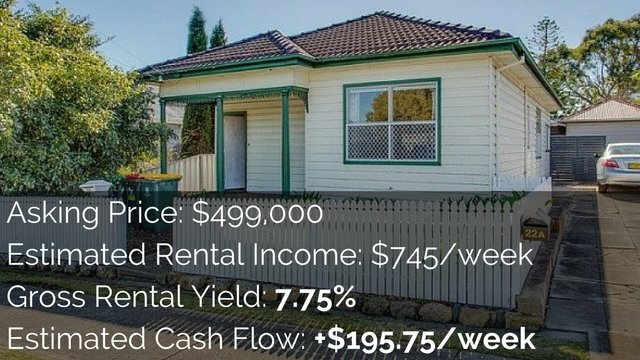 Or buying in Brisbane now? 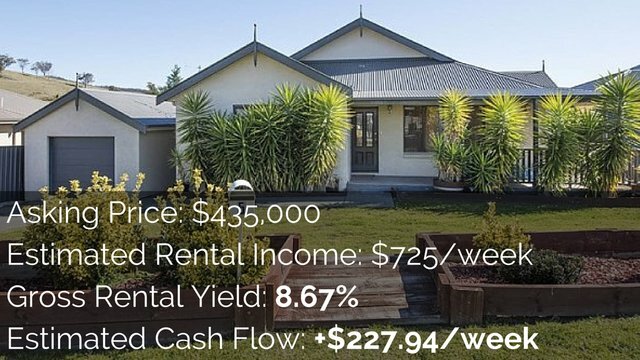 Because these markets have just – if you can buy cheap and ride a short term wave of maybe 10% to, in Sydney, 40% growth over a couple of year period, that enables you to go re-draw, access more money and buy another property sooner. Which is what, I suppose, in the accumulation phase is what it’s all about. Ryan: Yup. So, how does looking at an individual state help us do that? How are we going to identify that Sydney is a good market just by looking at New South Wales, if we’re taking ourselves back in our time machine 3 years ago? Ben: There’s a way that you can shortcut the time machine because anybody can look back and go, “Oh, I wish I had done this.” But I actually am religious about reading a particular report each month. It’s called the “Herron Todd White Month in Review Report” and you can get that by googling “Heron Todd White month in review report” or at www.htw.com.au. It’s a huge document which you definitely don’t have to read, but what is interesting is it’s got an Australian housing and unit market update for every single state and every single major regional area in Australia. And then, once you cut through all of that stuff, it’s actually got 2 pages which I love. It’s a property clock. So, if we pretended that 12 o’clock is the top of the market where Sydney is right now, 6 o’clock is the bottom of the market where somewhere like Townsville or some of those mining-affected areas are. 3 o’clock is the declining stage, so prices are still going down, like Perth and Darwin. And then, you’ve got 9 o’clock which is the rising market, Sunshine Coast, Gold Coast, Brisbane, those sorts of areas. Ryan: Okay. So this report will give us details about the state or will give us details about larger metropolitan areas? Ryan: So, really, is the goal of looking at a state level first and looking at this Herron-Todd-White report to narrow down our search, so we’re not looking at all of Australia, or we’re not looking at a particular city which may be peaking or may be in a down swing, but we can just focus on the larger areas that we can see are either potentially bottomed out or potentially on the upswing and we can then go into our suburb research in to those areas? Is that what we’re trying to achieve? Ben: Exactly. That’s exactly what we’re trying to achieve. We’re trying to take a [inaudible 5:00] approach to property, which is looking at everything everywhere and focusing at absolutely as quickly as possible. Ryan: Yup. I guess, depending on what your different investment strategy is, you may want to invest at the bottom of the market. You may want to invest, as you were saying, at 9 o’clock, when it’s starting to rise. You know, like Sydney was maybe a year or 2 ago. So, depending on where you are, will depend on what sort of market cycle you want to invest in. Ryan: Yeah. Apart from that Herron-Todd-White report, is there anything else that people should be doing to identify which state to purchase property in? Ryan: Yup. Those reports in the magazines, if I’m correct, they’re the ones that kind of talk about the state and then it’d have a few articles on different areas and what’s happening; maybe infrastructure projects, the sentiment of the market, that sort of stuff? Not the data itself, is that correct? Ben: Exactly. It’s sort of the bigger picture. And then, as you said, there’s that deeper level data at the back of the magazines so that you can go, “Okay, now I’ve identified the state and now I’ve identified the market.” So let’s say, Queensland, Brisbane. I’ve identified now these suburbs. You can go to the back of the report and actually begin to really get granular on the detail that you need about some suburbs before you take it to the individual property level. Buying individual properties is awesome unless you buy them at the wrong time; which might be at peak of market and then it takes 7 years for that market to hit bottom before it up swings again. People forget, before Sydney went absolutely crazy, it sat relatively flat for a 6-year period. Brisbane’s starting to kick right now and Brisbane has sat flat for 8 years before that. Relatively the same thing happened in different parts of Australia. So it’s about not sitting flat for too long and timing the market. By investing in the right state, it helps you to do that. Ryan: Do states move together? Like, if Brisbane moves, is the whole state of Queensland going to improve as well? Or if Sydney moves, is the whole state of New South Wales going to improve as well? Or, really, is it just – we want to recognize the states that seem to have a good sentiment and we really narrow our focus from there? We can’t just say, “Well, New South Wales is going to be good. I’ll invest in New South Wales.” We really need to say, “Well, New South Wales looks good. Let’s find a good area within New South Wales.” Is that right? Ben: Yeah. Definitely the second option. We get really caught up, as investors, with big numbers. Like New South Wales increased in value last year by 8%. That sounds so impressive unless you were the guy that invested in the mining town that actually decreased by 20%. So, it’s really about a bigger and around sentiment and then narrowing that down as quickly as possible into a market that you feel comfortable to invest in. Not just emotionally, but have the numbers to backup why it’s a strong investment now. Ryan: Yeah. I think everyone needs to remember that they can’t invest in a state. You can’t buy the state of New South Wales and get the growth of all of New South Wales, but what we’re trying to do here is to help you mitigate your risk. So, rather than investing in a state where there might be some really good markets, but most of the sentiment is down. Rather than investing there, invest in a state where most of the sentiment is up. There’s going to be a few bad markets, but your chance of getting something good and finding a good suburb within that state is going to be higher. Obviously, we advise as well that you back that up with research into the particular metropolitan area or into the particular suburb that you’re investing in. When we are trying to identify states, we’re really trying to mitigate our risk and we’re really trying to focus so that we can find a good suburb to invest in that’s going to grow. Ryan: Is there anything else that we would need to add to people who are looking at which state to invest in? Ben: No. I think between those sources, those combination are just simple, mostly of them are free or extremely cheap to access sources. Quickly identify where you want to go and then as quickly as possible, get down to the market, the suburb and the street level so that you’re giving yourself the best opportunity to make money in the short term because, I suppose, the majority of people listening to this episode would be like Ryan and myself and own anywhere between 0 and 10 properties and are still on that ascension journey. So, while you’re on that journey, it’s all about making chunks of cash as quickly as possible and the best way to do that is to time the market in the right state. Ben: Yeah. Well, it’s all about growing your portfolio because owning one property is great, but you’re probably not going to achieve financial freedom or be able to retire on one property. 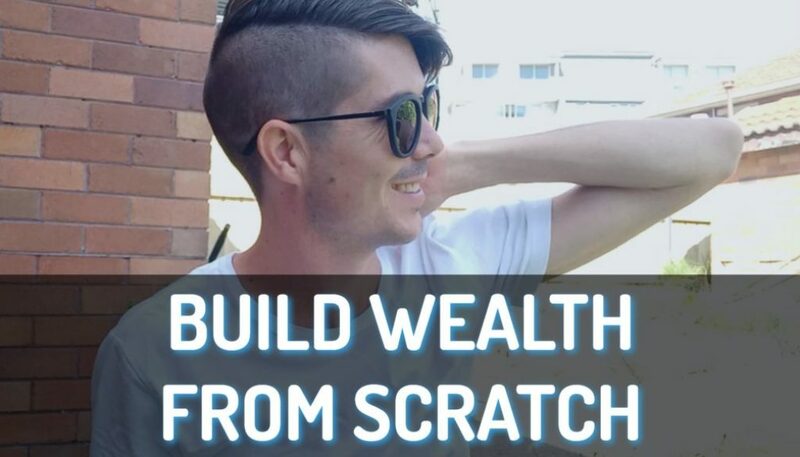 And so, what you want to do is try and invest as best as possible so that you can leverage our first property until we buy a second and then leverage the two to buy the third. The idea that Ben is trying to get across, I think, is that by focusing on the state first and narrowing it down, we give ourselves the best opportunity to invest in a property that’s going to help us grow our portfolio into the future and it’s going to perform well for us in the next short term, so, 2-5 years sort of time. Yeah? Ben: Absolutely. I suppose one thing to touch on and one thing that I’d be interested in if I was listening to this video would be what markets are actually at a decent time of the market cycle to be able to get a result. I’ve got the HTW report from December in front of me now. In terms of the timing of the market that I like to invest in, which is the start of the recovery to rising, we’ve got places like Hobart in Tasmania. We’ve got Bathurst, Orange in New South Wales. We’ve got places like Brisbane, Adelaide and Canberra. Then, we’ve got more of the regional markets like Albury, Griffin, Mudgee, Cairns, Sunshine Coast, Gold Coast, Wagga Wagga, Ipswich. All of those market places at the moment, according to Herron-Todd-White represent interesting opportunities to begin looking for properties. If you can time then right, obviously, may perform according to the way that the experts think they’re going to perform, may result in some form of short term capital growth over the next 2, 3, 5 years. Ryan: Yup. Okay. Awesome. We’ll finish it up there. 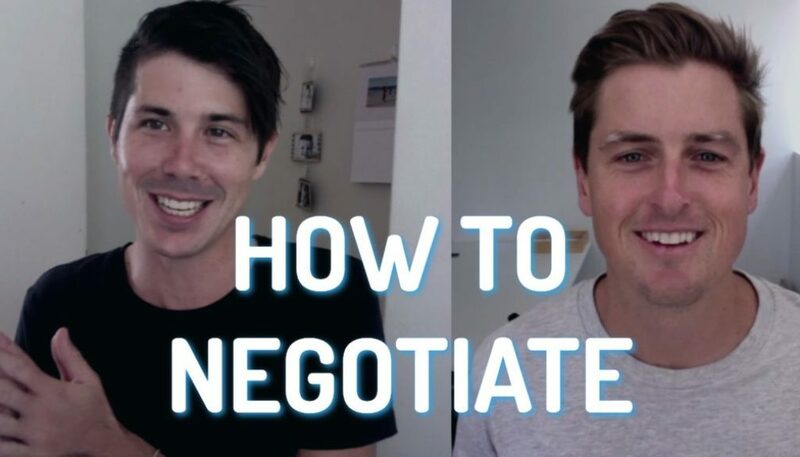 Thanks, guys, I hope that this has been helpful for you to help you narrow down your search and to find a suburb and eventually find a property that you can go ahead and invest in. Thanks, Ben, for coming on. You can check out Ben. He’s a buyer’s agent and a damn good one. 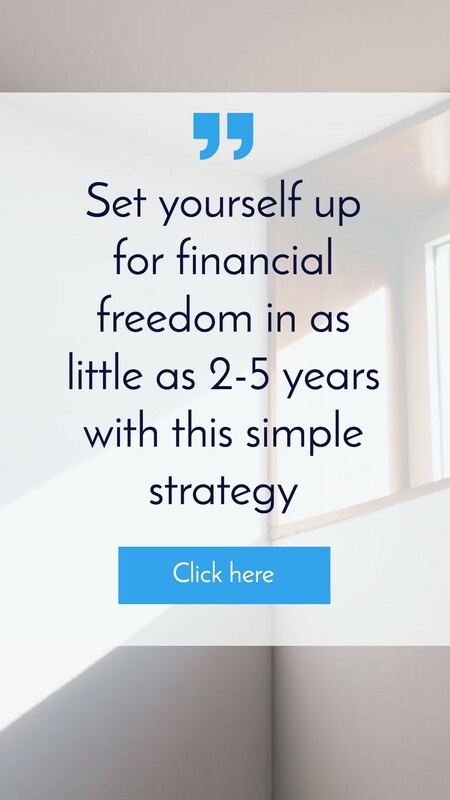 Go to pumpedonproperty.com and you can book a free strategy session with him where he’ll talk about what he does and he’ll also help you create a plan for your future. And if you let him know you came from On Property, I do get a referral fee for that. So, thank you for that. And until next time, guys, stay positive.